Carbomer is the trade name for polyacrylic acid (PAA), a group of synthetic high molecular weight polymers of acrylic acid used in cosmetics and personal care products as thickening agents. 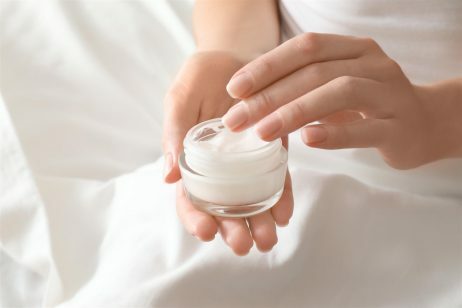 They are primarily added to gel-like formulations, such as facial moisturizers, sunscreen, shampoo, anti-aging treatments, cleansers, and scrubs, to help control the viscosity, flow, and consistency of the product. The Carbomer polymers have been used in cosmetics for over 50 years. 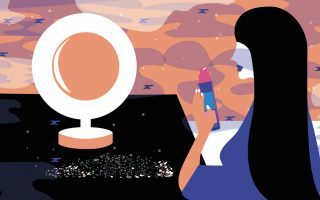 An article from Cosmetics Info explains that the Carbomers are large molecules prepared from relatively small chemical compounds called monomes. The monomers used to make Carbomer polymers are acrylic acid and polyalkenyl polyethers. All of the Carbomer polymers are chemically similar, differing from each other in molecular weight and viscosity. Dry Carbomer polymers come in the form of white, fluffy powders. Carbomer polymers can be found in a wide variety of product types including skin, hair, nail, and makeup products at concentrations up to 50%. You may notice a number associated with the Carbomer name on the ingredient label. This is the Carbomer code. Carbomer codes (i.e. 910, 934, 940, 941, and 934P) are an indication of molecular weight and the specific components of the polymer. The Carbomer polymers can have varying pH levels that must be neutralized in order for them to function as thickening agents. Formulations that contain Carbomer polymers will sometimes have these neutralizing agents listed. Examples include Triethanolamine (TEA), sodium hydroxide, potassium hydroxide, and tetrasodium EDTA, just to name a few. Other times, companies will purchase pre-neutralized Carbomer, which may or may not list the neutralizing agent. There are claims that some of these neutralizing agents may carry contaminants that can be potentially carcinogenic. An ingredient that is similar to the Carbomers is sodium polyacrylate, a sodium salt of polyacrylic acid. This ingredient is also used as a thickening agent and texture enhancer is cosmetics and personal care products since it is a superabsorbent polymer with the ability to absorb as much as 100 to 1000 times its mass in water. To understand the functions of Carbomers, it is important to first understand how they work. When a Carbomer polymer is placed in a water solution at neutral pH, many of the side chains will lose their protons and acquire a negative charge. Because of this reaction, Carbomers are able to absorb and retain water, and swell to many times their original volume. This is why Carbomers are considered to be texture enhancers and are used to add thickness to products, particularly gel-like formulations. Additionally, Carbomers have the ability to distribute or suspend an insoluble solid in a liquid. Thus, Carbomers are used to keep emulsions from separating into their oil and liquid components, as well as to control the consistency of cosmetics and other personal care products. By adding Carbomers to things like shampoos, conditioners, creams, and lotions, formulations will appear more rich, smooth, and creamy. Varying the amount of Carbomer used in a product allows the manufacturer to create anything from a stiff hair gel that will stay exactly where you put it, a lotion with body but which still flows easily, or a rich cream that holds it shape. According to skin care expert Paula Begoun, high amounts of carbomers in a gel may result in the product rolling or balling up of cosmetic products on skin, but this phenomenon depends on other formulary steps taken to minimize this effect. Interestingly, Carbomer doesn’t seem to have any effect on the skin at all. Once a Carbomer is applied to the skin and dries, you shouldn’t even notice it. Carbomers will not make the skin tacky, dry, or tight. The Carbomer polymers aren’t in the product to promote any benefits, just to improve the texture of the product. In addition to use in personal care products, Carbomer polymers have a wide variety of commercial and industrial uses. Some examples include use as a fragrance carrier, medical bandages, wound dressings, and fire-retardant gel, just to name a few. The safety of Carbomers has been assessed by the Cosmetic Ingredient Review (CIR) Expert Panel. Acute oral and dermal clinical studies with Carbomer polymers demonstrated that these ingredients have a low potential for phototoxicity, photo-contact allergenicity, skin irritation and sensitization at concentrations up to 100%. Upon evaluation of the scientific data, the CIR Expert Panel concluded that Carbomer polymers were safe as ingredients in cosmetics and personal care products.